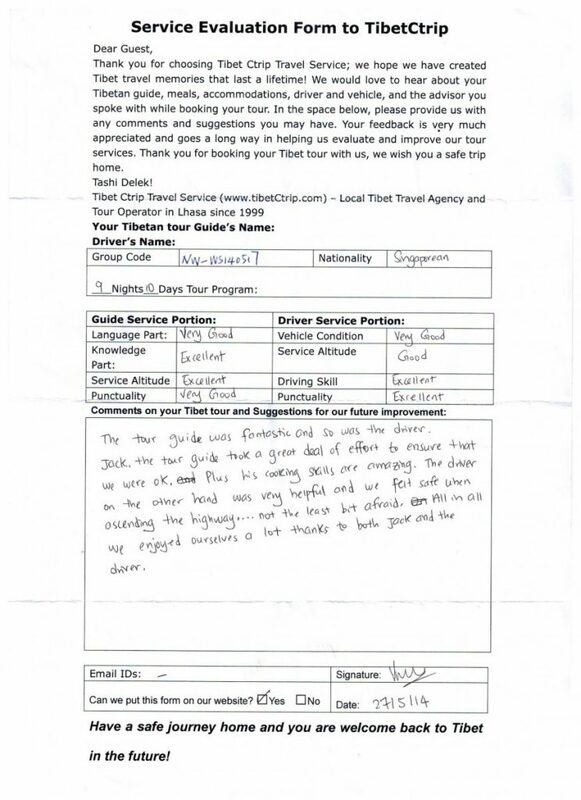 Here below is the Tibet Travel Review 20140517 P2 from our distinguished clients. 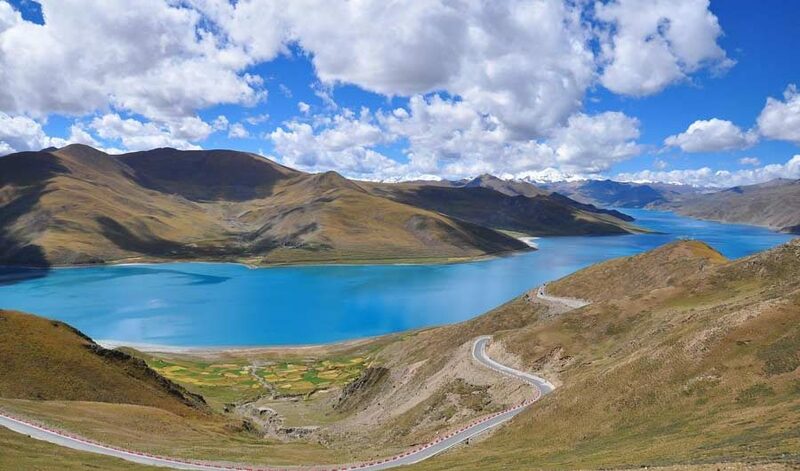 May17 Day 1 Arrive in Lhasa by flight (please reconfirm your flight info thus we can arrange the airport pick up on time), to be picked up and transferred to downtown Lhasa, o/n in good 4 star hotel-Snow heaven Hotel. May20 Day 4 Drive from Tsedang to Samye-visit Chim-puk Hermitage meditation cave and Samye monastery, O/n in Samye monastery hotel. May21 Day 5 Drive from Samye to Lake Yamdrok by the old unique route from Kya ro la Pass. (Camping beside Yamdrok Lake). May22 Day 6 Yamdrok Lake to Nyi Mu village and take a very unique route to Yangpachen monastery. (Camping on the way to Yangpachen, find a good place to camp as your wish and may be you can also see many wild life around there). May23 Day 7.From camping place to Yangpachen monastery and Yangpachen hot spring (where if you take bath, pay by yourself), camping on the way before getting to Tsurphu Monastery (one of the most sacred monastery of Kargyue sect, or around Tsurpu monastery). May24 Day 8 Visit Tsurpu monastery in the morning and back to Lhasa. (Hotel as above). May26 Day10 one free day in Lhasa on your own, hotel as above. May27 Day11 Leave from Lhasa for your next destination. You can learn more from Tibet Travel Review.